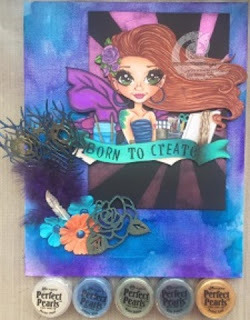 It's our last week playing with Perfect Pearls over at Faery Inks Workshop Wednesday. Come on by and see what we are doing with Perfect Pearls and Embellishments!! And then make sure to stop by next week!! We are gonna play with a new medium next month... I believe its going to be mists.... But that's all the details I'm sharing!!! See you next week! !